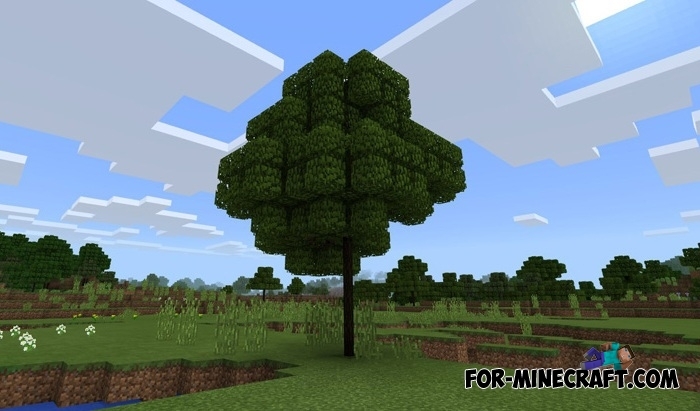 Realistic Trees mod changes the shape of tree trunks making them more realistic. If you compare these trunks and those that were earlier, now a tree trunk is several times thinner, while all parameters such as the speed of cutting and drop remained the same. In addition to the updated tree, the mod slightly changes the texture of the foliage (all types). The foliage block became smaller due to which there is a gap between the blocks. 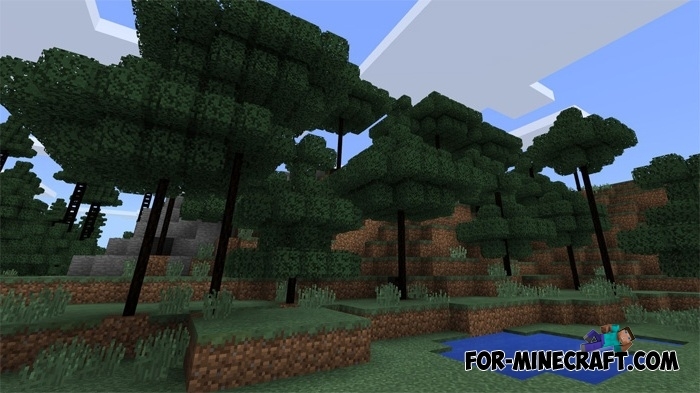 If you want to create a pack of realistic mods and textures for Minecrtaft PE then include the Realistic Trees mod in your assembly.